Essex Aviation Group, Inc. recently assisted a multinational corporation with the sale of its 2004 Falcon 2000EX EASy. Although Essex does not typically facilitate transactions of this nature, the client has a long-standing relationship with Essex and specifically requested that they handle the sale. Essex was in the process of assisting their client with the acquisition of a 2013 Dassault Falcon 7X when details of the acquisition became known to the public. An off-market buyer contacted Essex’s client in the interest of purchasing its Falcon 2000EX; the client agreed to sell its existing Falcon upon securing the 7X and retained Essex’s services to oversee the aircraft sale process. Essex agreed to oversee the selling process with an understanding that if the transaction process was unsuccessful, the client would consider one of Essex’s recommended aircraft brokers to publicly list the aircraft for sale. 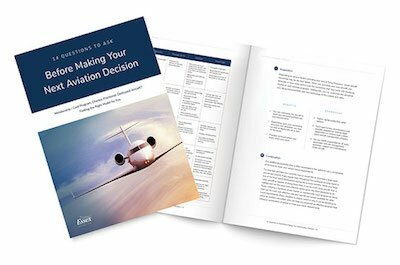 In summary, Essex simultaneously managed the acquisition of their client’s new aircraft and successfully applied the necessary resources to facilitate the smooth sale of the client’s existing aircraft. It is important to emphasize that while Essex is not an aviation brokerage firm and, as such, does not list aircraft for sale, the company does occasionally facilitate “off-market” transactions in unique situations such as this one. Essex Aviation Group, Inc. was founded in 2013 with the primary goal of providing clients with the most current industry knowledge and experience, a vital component in evaluating business and private aviation transportation needs. Representing clients in a wide range of services, Essex builds client relationships through dedication to trust, integrity and a level of responsiveness not found anywhere else. Services include new or pre-owned aircraft acquisitions, new aircraft completion management, pre-owned aircraft refurbishment and upgrade management, block and ad hoc charter services, and much more. Aircraft acquisition is no small undertaking. It requires proper research, planning, and a keen understanding of the gravity of such a purchase. Aircraft Wanted For IMMEDIATE Lease!